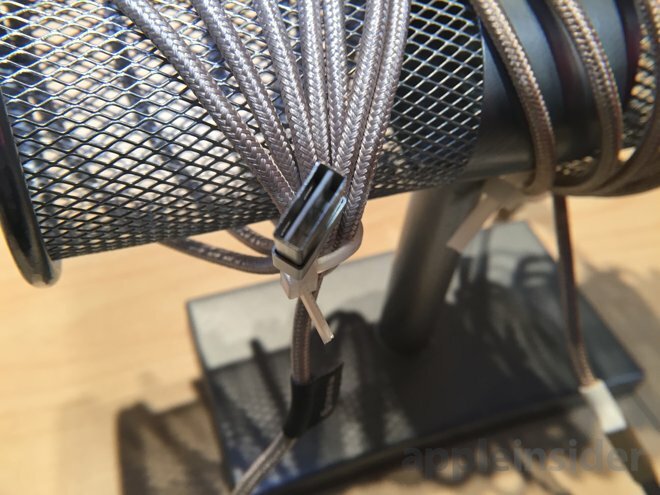 At CES this week, Griffin Technology took the wraps off a new USB-to-Lightning cable with a twist —the USB Type A plug can be inserted in either orientation, just like Apple's own Lightning connector. Griffin's new reversible USB-to-Lightning cable is set to arrive in March for $29.99. Their unveiling follows misplaced hopes that Apple itself would introduce a reversible USB-to-Lightning cable last year, but the company's first-party "iDevice" connectors continue to have standard USB Type A plugs that can only be inserted in one direction. Griffin's forthcoming Lightning cables with reversible USB plug will be officially licensed Made for iPhone accessories. It's unclear whether the product will be able to be marketed as an official USB cable, however, as the USB Compliance Committee has not authorized reversible Type A USB plugs. No USB consortium logos were visible with the product on the show floor on Wednesday. Also at CES this week, Griffin announced a new, redesigned version of its Twenty digital audio amplifier. 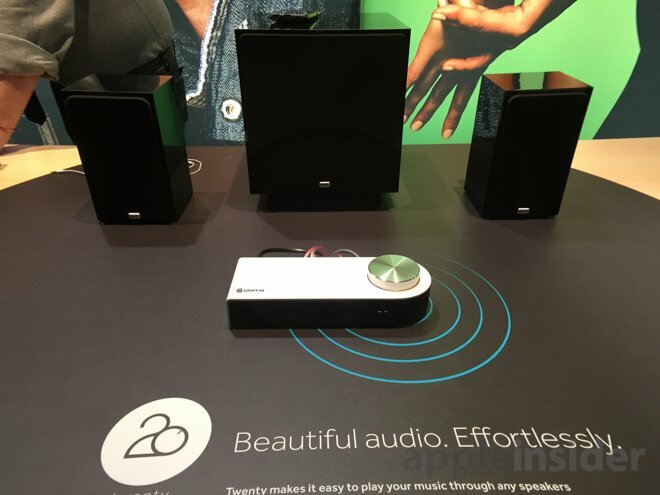 The new $149.99 Twenty connects to speakers and streams music from any handheld Bluetooth-enabled device, such as an iPhone. Pushing out 20 watts per channel, the Griffin Twenty provides volume through nonpowered speakers with high-end AAC/aptX audio streaming digital codecs. It also connects direct plug-in connections from a computer, tuner, home theater, turntable, or other audio source. Bundles of the Twenty with speakers are also available: Twenty + NHT SuperZero Passive Bookshelf Speakers for $299.99, or Twenty + NHT SuperZero 2.1 Super Stereo System with Powered Subwoofer for $599.99.